If you like old school metal, this is your spot! NWOBHM, L.A. in the 80's, Thrash, Nu-Metal and all the glorious metal in between. 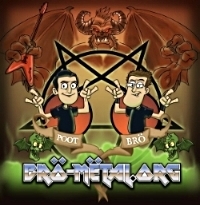 Don't forget, Poot & Bro grew up on metal, so these are their roots, their bloody roots. 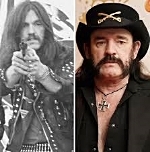 Bro-Metal Rewind: MOTORHEAD "I'm So Bad Baby I Don't Care"
Click Here For More MOTORHEAD! Happy Birthday Timmy Lee! Ratt: "Back For More"
Happy Birthday to our buddy, and Bro-Metal contributor, Timmy Lee. Our long time friend is a HUGE Ratt fan (as are we) so here you go! CLICK FOR MORE ON BRO'S INTRO TO THRASH & "KILL EM' ALL"
They were the only part of the Grammys worth watching...but that's not the only reason we love the Thunder From Down Under. My First Metal Album: "Pyromania"